There are many great ways to share Jesus with someone. In this episode I am going to teach you one of the simplest and most effective ways to share the gospel by telling your own personal story. Specifically, your personal, three minute testimony. This is the tool that we use primarily in our motorcycle ministry. There are several reasons why the 3-minute testimony is such a successful approach. You don’t have to memorize a bunch of Bible verses, and since it is your story it’s pretty hard to mess it up. A personal testimony is also a great way to “engage” with a stranger. Most people are very receptive to this kind of personal and relational approach because it is very natural and conversational. Another plus is that sometimes, 3-minutes is all the time you’ll get with someone before they move on, get distracted or lose interest. We all have a story to tell that is uniquely our own. Some of us have a dramatic, pain filled saga with a bunch of sordid details, while others experience and early, less dramatic understanding and acceptance of their need for Jesus as their Lord and Savior. The great thing is that it doesn’t matter if you have dramatic details or not. God will use your specific story to touch the exact people at the precise time that He wants it to happen. Remember, you are trusting the Lord and being obedient when you witness. The Holy Spirit is doing the work of salvation. You are simply and obediently sharing the story that God gave you so the Holy Spirit can do His thing with it. Salvation is the Lord’s business, obedience is yours. Your target should be to spend about 60 seconds on part (1) and 60 seconds on part (2), then spend the remaining 60 seconds focusing on how your life is now that Jesus Christ is your Lord and Savior. So just sit down and start writing. You can edit later, just get it all out of your head and on to paper first… edit later. SECTION ONE: It’s very easy for most of us to get too detailed in section one so you’ll probably start editing there. If you were a knucklehead like me, telling all of your sordid details would take hours! But remember, this is important, you only need to include enough details to relay the highlights and to describe the emotions associated with your situation. At this point the details and specifics are probably more important to you than to the person you are witnessing to. Regardless of the specifics, there are usually some common denominators in everyone’s “before” story. These are the feelings and emotions that accompanied the circumstances that impacted your life. Describe the uncertainty, emptiness, sadness, depression, anxiety, failure, etc. that you experienced during that time in your life. Every lost person is going through some combination of these emotions. If the Holy Spirit has called the lost person you are witnessing to, they undoubtedly have a God shaped hole in their heart. The same hole that you had, that caused you to seek the answer and to desire knowing the truth. That feeling of incompleteness is what the person is going to relate to. This is what God uses to get their attention. NOTE: The key thing is to share your three part story, including the Gospel message in about three minutes. The Holy Spirit will use your story to touch people and many times, the ones touched by your story will want to share their own story with you because that can relate to some of the things you told them. …over the years I must have prayed a hundred times for God to bail me out. I knew I was a sinner and couldn’t continue doing the things I was doing. I finally opened my heart and prayed. Not for God to “bail me out”, but for God to forgive me and help me turn from my sinful ways. I finally believed in my heart that Jesus died for my sins, was buried and rose again, and I surrendered to Jesus as my Lord and Savior. SECTION THREE: This last section is where you can have some fun. This is where you talk about the blessings in your life. However, I recommend that you also point out that things aren’t perfect. Many people incorrectly think that once they are saved life becomes a cake walk. In reality it can be the opposite, so I tell people that there are still bumps in the road and I still stumble and make mistakes but God lifts me up every time. When the Holy Spirit touches the heart of the person you are witnessing to, be prepared for anything. They may want to continue talking and that’s ok. This is the time to elaborate with more details if the conversation goes that way. Ok, now that you have your draft complete, it’s time to start editing. This is a good time to do an initial read through with a timer. Once you see how long it takes to read your story you will know approximately how much you’ll need to edit out. You may have to do the read through/edit process several times like I did. Again, the goal is to use approximately 60 seconds for each section for a total of 3 minutes, with the gospel being shared in the process. FIRST SECTION:The main goal of this section is to quickly break the ice and get on common ground with the person. This will increase the chances of them engaging with you in a real way. Remember, as I said before, you don’t want to get too detailed here. You should only include enough detail for the person you are sharing with to understand what your life was like before Jesus in a way they can relate to. This is not a time for confession, telling this part of your testimony is less about you than it is about getting the persons attention. We want them to engage with us and find common ground emotionally. For many of you this will be the toughest section to get down to 60 seconds so hang in there. If I could do it I know you can. SECOND SECTION: The primary goal of this section is to tell the gospel story. Regardless of the details of you conversion experience, you need to tell them about the death, burial and resurrection of Jesus. You also need to address sin, repentance, and forgiveness of sins. It’s okay to use a little artistic license here too. In my case, I was alone, late at night and confessed my sins and my desire to change in a silent prayer to God, asking Him to help me change and to be my Lord and Savior. So instead of telling folks that I prayed silently, If you recall what I shared a minute ago, I tell them what I said or prayed to God in the silent prayer. THIRD SECTION: The thing you need to focus on here is that you are changed, things are different in your life now. Be honest and let them know that it’s not perfect. There are still bumps in the road. It’s important to let them know that becoming a Christian doesn’t mean everything in your life is smooth and easy now. Again, this is one of the misunderstanding that many non-believers and even new believers have so you want to mention it before giving them a chance to challenge you about it. 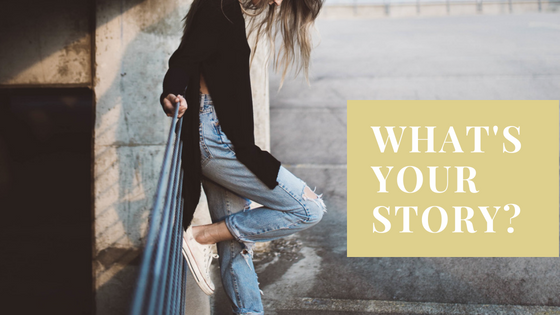 So now that you’ve learned how to create a 3-minute version of your personal testimony, lets talk about “telling your story”. First,I’d like to point out that the 3-minute format is not arbitrary. Experience has shown that 3 minutes is about as long as many people are willing to pay attention to a complete stranger, about a subject they weren’t planning to hear about, AND it’s just enough time to deliver the gospel story while allowing enough detail for the person to engage with you on a personal level. It’s important to stay close to 3-minutes, especially if you said “it will only take 3 minutes”when you first asked them to listen to you. If we take longer than the promised time,what good is our word? Technically, you just lied to them, right? It’s a small thing but subconsciously people notice and react to things like this. If the Holy Spirit gets through to the person (you’ll know when this happens) offer to help them call on Jesus Christ as their Lord and Savior. The simplest way to offer an invitation in my opinion, is toask them if they can relate to what you just sharedor, referring to the description of your life now,ask them if that is something they want or need. You will usually be able to discern which part of your story made an impact on them. Dear Lord, I know that I am a sinner, and I come to you with a humble heart asking you to forgive my sins and to help me turn from my sinful ways. Thank you for paying my sin debt by sacrificing your life on the cross. I believe that you were buried and rose again three days later. And now I ask you to be my Lord and Savior and I look to you alone for my salvation. Amen. It is very important to explain to the person that just SAYING a prayer like this doesn’t magically save them. As the Bible states in Romans 10:10 “for with the heart one believes and is justified, and with the mouth one confesses and is saved.” there are two parts to this verse, BELIEF and CONFESSION. Saying the words is the easy part, genuinely believing in your heart takes faith. Knowing about Jesus Christ is one thing, knowing Him personally is quite another thing entirely. There is a very good chance that you will meet many people that know all about Jesus and profess to being a Christian but when asked if they know whether ot not they are going to heaven when they die, a large majority of them will say something like, I SURE HOPE SO or I THINK SO. NOTE: When someone answers the question about going to heaven or not with uncertainty, they are not saved! AND it is an ideal time to ask if they would like to hear how they can know for sure that they will go to heaven when they die. In my experience, it is usually easier to witness to someone that has little to no exposure to Christianity, the church or religion in general. They haven’t been exposed to any of the false teachings or half truths that so many of the “churched” folks have been exposed to… the prosperity gospel, and the social gospel are two of these that come to mind. Then there are the people that have experienced hypocrisy or have been hurt by the church or by people in the church that may have been misguided or they where a bit overzealous about things. Whether it was well meaning or malicious the damage was done and we end up with a person that has developed a bias against religion and the church as a whole. The devil has blinded and has hold of these folks. They will either flat our reject the Gospel when you try to share it with them or they unfortunately believe that their religious behavior or their good deeds are enough to get them into heaven when they die. The enemy knows what he is doing! He is a liar and a deceiver. In fact the word devil, in the Greek language can be translated as “slanderer”. The enemy wants nothing more than to have people think they are saved and going to heaven when they die. These people have become complacent, they have stopped looking for answers because they wrongfully think they know the truth. Someone once told me that one of the most difficult and challenging enemies to deal with is IGNORANCE. In this case, these folks are ignorant of the fact that they have a false belief, they are not aware that they have been misguided, so when they are presented with the truth of the gospel, they don’t listen, they are unreceptive because they think they know it already. Folks like these are the reason we must go into battle fully armed and covered with prayer. The power of the Holy Spirit is the only thing that can remove the blinders from their eyes. As the song goes… “I was blind but now I see”! POINTERS/CONCLUSION: Your testimony in this format is real, it’s accessible, it’s something that someone can and will relate to. Keep that in mind. I said someone will relate to, not everyone. Your story is your story, and God will use it to touch the hearts of others. Not everyone you tell it to will respond, but some will. When we witness, we are just being obedient to Gods command to go and make disciples throughout the world. God is doing the salvation part, not us. So don’t pre-judge people because of how they look or act or dress. Don’t let the devil get in your head with stuff like, “oh, they won’t relate to my story because they are too old, too young, from a different background, etc…”. Your goal is to be obedient and tell your story to anyone and everyone. That’s it. When people don’t respond to your testimony, they are not rejecting you, they are rejecting the gospel of Jesus Christ. Remember, there is a time for planting seeds, a time for watering the garden, and then there is a time for the harvest. You can be certain that when you witness to someone with your 3-minute testimony, God is using your efforts to do one of these three things!